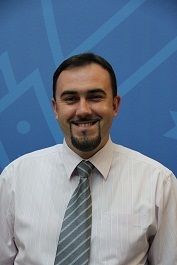 Dr Adnan Trakic is a Senior Lecturer with the Department of Business Law and Taxation, School of Business, Monash University Malaysia. He has taught and researched in the fields of conventional and Islamic finance law, business law, and dispute resolution. The co-author of Law for Business (2nd edn, Sweet and Maxwell 2018) and contributing co-editor of Islamic Banking & Finance: Principles Instruments & Operations (2nd edition, Current Law Journal, 2016), his published work extends to numerous articles, book chapters and other contributions. Trakic, A., Ramasamy, N., Sum, C.Y., Andrews, P.L., Murugan, S.B., Pullikutthyayanar, V., and Chandran, K. (2018). Law for Business. (2nd edn). Selangor, Malaysia: Sweet & Maxwell Asia, Thomson Reuters. Trakic, A., Benson, J., and Ahmed, P.K. (2019). Dispute Resolution in Islamic Finance: Alternatives to Litigation? Routledge (London), (forthcoming). Trakic, A., & Tajuddin, H. H. A. (2016). Islamic Banking & Finance: Principles, Instruments & Operations. (2nd edn). Selangor, Malaysia: The Malaysian Current Law Journal. Trakic, A., (2019). Settlement of Islamic Finance Disputes in Malaysia. In Trakic, A., Benson, J., and Ahmed, P.K. (Eds.). Dispute Resolution in Islamic Finance: Alternatives to Litigation? London, UK: Routledge (forthcoming). Benson, J., Trakic, A., and Ahmed, P.K. (2019). Dispute Resolution in Islamic Finance: The Way Forward. In Trakic, A., Benson, J., and Ahmed, P.K. (Eds.). Dispute Resolution in Islamic Finance: Alternatives to Litigation? London, UK: Routledge (forthcoming). Trakic, A., Benson, J., and Ahmed, P.K. (2019). In Search of an Effective Dispute Resolution Mechanism in Islamic Finance. In Trakic, A., Benson, J., and Ahmed, P.K. (Eds.). Dispute Resolution in Islamic Finance: Alternatives to Litigation? London, UK: Routledge (forthcoming). Trakic, A. (2018). Towards Shari’ah Compliant Dispute Resolution in Islamic Finance. In Jevaid Rehman and Ayesha Shahid (Eds.). Asian Yearbook of Human Rights and Humanitarian Law (148-173). Leiden, the Netherlands: Brill Nijhoff. Ashgar Ali Ali Mohamed, Trakic, A., Md. Hassan Ahmed & Mohd Akram Shair Mohamed (2016). Sexual Offences and Child Offenders. In Ashgar Ali Ali Mohamed & Muzaffar Syah Mallow (Eds. ), Sexual Harassment in the Education Sector: A Malaysian Perspective (pp. 13-56). Gombak, Malaysia: International Islamic University Malaysia Press. Trakic, A. & Ashgar Ali Ali Mohamed (2016). Formulating Policy and Procedure. In Ashgar Ali Ali Mohamed & Muzaffar Syah Mallow (Eds.). Sexual Harassment in the Education Sector: A Malaysian Perspective (pp. 172-183). Gombak, Malaysia: International Islamic University Malaysia Press. Farheen B. S. B., Ashgar A. A. M., Ahmad, T. & Trakic. A. (2016). Prevention of Sexual Harassment: The Islamic Law (Syariah) Perspective. In Ashgar Ali Ali Mohamed & Muzaffar Syah Mallow (Eds. ), Sexual Harassment in the Education Sector: A Malaysian Perspective (pp. 185-212). Gombak, Malaysia: International Islamic University Malaysia Press. Trakic, A. (2016). Legal Accommodation of Islamic Banking in Bosnia and Herzegovina. In Ogurlu, Y. and Kulanic, A. (Eds. ), Bosnia and Herzegovina: Law Society and Politics (pp. 100-123). Sarajevo, Bosnia and Herzegovina: International University of Sarajevo. Muhammad Yusuf Saleem & Trakic, A. (2016). Prohibited Elements in Fiqh Al-Muamalat: Causes that Invalidate Transactions. In Trakic, A., & Tajuddin, H. H. A. (Eds. ), Islamic Banking & Finance: Principles, Instruments & Operations (pp. 61-78). (2nd ed.). Selangor, Malaysia: The Malaysian Current Law Journal. Trakic, A. (2016). Shari’ah Governance Framework for Islamic Financial Institutions: With Reference to Malaysia. In Trakic, A., & Tajuddin, H. H. A. (Eds. ), Islamic Banking & Finance: Principles, Instruments & Operations (pp. 429-454). (2nd ed.). Selangor, Malaysia: The Malaysian Current Law Journal. Trakic, A. & Tajuddin, H. H. A. (2016). The United Kingdom as a Western Gateway to Islamic Banking and Finance. In Trakic, A., & Tajuddin, H. H. A. (Eds. ), Islamic Banking & Finance: Principles, Instruments & Operations (pp. 638-658). (2nd ed.). Selangor, Malaysia: The Malaysian Current Law Journal. Tun Abdul Hamid Mohamad & Trakic, A. (2014). Current Application of English Law: Sections 3,5 and 6 of the Civil Law Act 1956. In Ashgar Ali Ali Mohamed (Eds. ), Malaysian Legal System (pp. 155-176). Selangor, Malaysia: The Malaysian Current Law Journal. Trakic, A. (2013). Dispute Resolution of Islamic Banking Cases in Malaysia with Reference to Muamalat Division of the High Court and Shariah Advisory Council. In LexisNexis (Eds.). A Selection of MLJ Articles: (2008 to 2013). Selangor, Malaysia: LexisNexis. Trakic, A. (2012). Islamic Banking and Finance in France. In Trakic, A., & Tajuddin, H. H. A. (Eds. ), Islamic Banking & Finance: Principles, Instruments & Operations (pp. 535-560). (1st ed.). Selangor, Malaysia: The Malaysian Current Law Journal. Trakic, A. (2011). Civil Court Jurisdiction over Islamic Banking Cases – Muamalat Division of the High Court. In Mohammad Naqib Ishan Jan (Eds. ), Law and Commerce: The Malaysian Perspective (pp. 520-536). Kuala Lumpur, Malaysia: International Islamic University Malaysia Press. Trakic, A. (2010). Various Centres Offering Mediation Services in Malaysia. In Ashgar Ali Ali Mohamed & Mohammad Naqib Ishan Jan (Eds. ), Mediation in Malaysia: The Law and Practice (pp. 89-111). Kuala Lumpur, Malaysia: LexisNexis. Trakic, A. (2018). Unfairness in Islamic Finance Contracts: The Malaysian Case. Journal of Banking and Finance - Law and Practice, (forthcoming). Trakic, A. (2018). Promissory Estoppel and Its Relevance to Malaysian Contract Law. Journal of Contract Law, 34, 240-259. Trakic, A. (2016). The Inequality of Bargaining Power: Does Malaysia Need This Doctrine? Australian Journal of Asian Law, 17(1), 1-19. Trakic, A. & Ashgar Ali Ali Mohamad (2016). The Regulatory Aspects of Islamic Banking in Malaysia. Journal of International Banking Law and Regulation, 31(8), 429-438. Trakic, A. (2015). Statutory Protection of Malaysian Consumers Against Unfair Contract Terms: Has Enough Been Done? Common Law World Review, 44(3), 203-221. Tun Abdul Hamid Mohamad & Trakic, A. (2015). The Reception of English Law in Malaysia and Development of the Malaysian Common Law. Common Law World Review, 44(2), 123-144. Tun Abdul Hamid Mohamad & Trakic, A. (2015). The Adjudication of Shari’ah Issues in Islamic Finance Contracts: Guidance from Malaysia. Journal of Banking and Finance - Law and Practice, 26, 39-59. Ashgar Ali Ali Mohamad, Farheen Baig Sardar Baig, Trakic, A., Mallow, M. S., and Surajudeen, A. T. (2015). Sexual Harassment in Malaysian Educational Institutions: Causes and Solutions. International E-Journal of Advances in Social Sciences, 1(1), 17-26. Ashgar Ali Ali Mohamed, Farheen Baig Sardar Baig, Amuda, Y.J., Mallow, M. S., Trakic, A., and Hassan, A. (2014). Impacts of Sexual Harassment in Schools and Institutions of Higher Education on Victims’ Academic Performance: A Malaysian Perspective. Pensee Journal, 76(2), 57-65. Trakic, A. (2014). Legal Accommodation of Islamic Banking in Bosnia and Herzegovina: Stretching the Existing Legal Framework in the European Context. Journal of International Banking Law and Regulation, 1, 53-63. Trakic, A. (2013). Quantum of Claim by Islamic Banks in BBA Contracts: Applicability of Ibra’ in Default Cases in Malaysia. Malayan Law Journal, 4, c.
Trakic, A. (2013). Dispute Resolution of Islamic Banking Cases in Malaysia with Reference to Muamalat Division of the High Court and Shariah Advisory Council. Malayan Law Journal, 3, lxvii. Tun Abdul Hamid Mohamad & Trakic, A. (2013). Granting of Ibra’ by Islamic Banks in Malaysia: A Matter of Discretion or Obligation? Journal of International Banking Law and Regulation, 9, 356-362. Tun Abdul Hamid Mohamad & Trakic, A. (2013). Critical Appraisal of the Companies’ Obligations to Pay Zakat in the Malaysian Context. International Company and Commercial Law Review, 10, 375-380. Tun Abdul Hamid Mohamad & Trakic, A. (2013). Application and Development of Ibra’ in Islamic Banking in Malaysia. The Law Review, 383-408. Trakic, A. (2013). The Adjudication of Shari’ah Issues in Islamic Financial Contracts: Is Malaysian Islamic Finance Litigation a Solution? Humanomics, 29(4), 260-275. Trakic, A. (2013). Malaysian Two-Tier Shari’ah Governance Framework for Islamic Financial Institutions: What Does the Malaysian Model Offer? Journal of International Banking Law and Regulation, 28(2), 89-95. Trakic, A. (2012). Europe’s Approach to Islamic Banking: A Way Forward. Journal of Islamic Finance and Business Research, 3(1), 17-33. Trakic, A. (2012). An Offer Vis-a-Vis an Invitation to Treat: A Comparative Analysis with Reference to Malaysia. Malayan Law Journal, 5, i.
Trakic, A. (2012). ’Offer’ and Its Significance for Formation of Contracts: The Malaysian Perspective. Malayan Law Journal, 5, cxlvii. Trakic, A. (2012). A Legal and Administrative Analysis of Inalienable Muslim Endowments (Awqaf) in Bosnia and Herzegovina. Islamic Civilizational Review, 3(2), 337-354. Trakic, A. (2011). The Development of Ijtihad in Bosnia: Bosniaks’ Intellectual Response. Shariah Law Reports, 2, lxxxi. Trakic, A. (2011). The Supervision of the Islamic Banks: Analytical Analysis with Reference to Malaysia. Shariah Law Reports, 1, lxxxii. Ashgar Ali Ali Mohamed & Trakic, A. (2011). Significance of the Muslim’s Call for Prayer (Azan) with Reference to its Practice in Malaysia. Shariah Law Reports, 1, xlvii. Trakic, A. (2010). A Critical Appraisal of UNCITRAL’s Contributions in Unification of the Law Governing International Sale of Goods. Malayan Law Journal, 4, v.
Trakic, A. (2010). ILO’s Contributions in Improving Working Conditions – An Analytical Approach. Malayan Law Journal, 3, xlii. Trakic, A. (2017). Dispute Resolution in Islamic Finance: Litigation or Arbitration? Islamic Law and its Implementation in Asia and the Middle East International Conference, British Institute of International and Comparative Law, London, UK. Trakic, A. (2015). Promissory and Its Relevance to Malaysian Contract Law. Comparative Law and Legal Theory Conference 2015, Monash University Prato Centre, Prato, Italy. Audrey, S., Grace, L.H., Trakic, A., Thanasegaran, H., & Anushia. (2015). Open and/or Closed Book Assessments on Student Learning. The International Conference in Higher Education, Michigan State University, Dubai, UAE. Tun Abdul Hamid Mohamad & Trakic, A. (2015). The Statutory Basis of the Reception of English Law in Malaysia and Development of the Malaysian Common Law. The Annual Journal of Contemporary Accounting and Economics Symposium 2015, Monash University Malaysia, Kuala Lumpur, Malaysia. Trakic, A. (2014). The Adjudication of Shari’ah Issues in Islamic Finance Contracts: Guidance from Malaysia. The 11th Asian Law Institute (ASLI) Conference, University of Malaya, Kuala Lumpur, Malaysia. Trakic, A. (2012). The Adjudication of Shari’ah Issues in Islamic Financial Contracts: Is Malaysian Islamic Finance Litigation a Solution. The 3rd Global Accounting & Organizational Change Conference, Sunway University and La Trobe University, Kuala Lumpur, Malaysia. Trakic, A. (2012). Enforceability of Islamic Financial Contracts in Secular Jurisdictions. The 9th Asian Law Institute (ASLI) Conference, National University of Singapore, Singapore. Trakic, A. (2011). Europe’s Approach Towards Islamic Banking and Finance: A Way Forward. The International Islamic Banking, Finance and Investment Conference, World Business Institute, Kuala Lumpur, Malaysia. Trakic, A. (2011). Ibra’ and Its Practice by Islamic Banks: Constructive Analysis of it with reference to Malaysia. The Inaugural ISRA Colloquium, International Shariah Research Academy for Islamic Finance, Kuala Lumpur, Malaysia. Trakic, A. (2009). The Legal and Administrative Analysis of Waqf in Bosnia and Herzegovina. The International Conference on: Waqf Law & Management. IIUM Endowment Fund, Kuala Lumpur, Malaysia. Trakic, A. (2008). Educational Reforms and Regeneration in the Thought of Alija Izetbegovic. The International Conference on Higher Education in the Muslim World: Challenges and Prospects. International Islamic University Malaysia, Kuala Lumpur, Malaysia. Tun Abdul Hamid Mohamad & Trakic, A. (2012), “The Shari’ah Advisory Council’s Role in Resolving Islamic Banking Disputes: A Model to Follow?”, ISRA Research Paper No. 47, Kuala Lumpur: International Shari’ah Research Academy (ISRA), pp. 1-42. Tun Abdul Hamid Mohamad & Trakic, A. (2012), “Enforceability of Islamic Financial Contracts in Secular Jurisdictions: Malaysian Law as the Law of Reference and Malaysian Courts as the Forum for Settlement of Disputes”, ISRA Research Paper No. 33, Kuala Lumpur: International Shari’ah Research Academy (ISRA), pp. 1-34. Trakic, A. (2012), “Dispute Resolution of Islamic Banking Cases in Malaysia with Reference to Muamalat Division of the High Court and the Shari’ah Advisory Council”, Malaysian Court Practice Bulletin, Issue 5 of 2012, pp. 1-10. Trakic, A. (2012). Quantum of Claim by Islamic Banks in Bai’ Bithaman Ajil Contracts: Applicability of Ibra’ in Default Cases in Malaysia. Malaysian Court Practice Bulletin, 6.